Delaney, John. 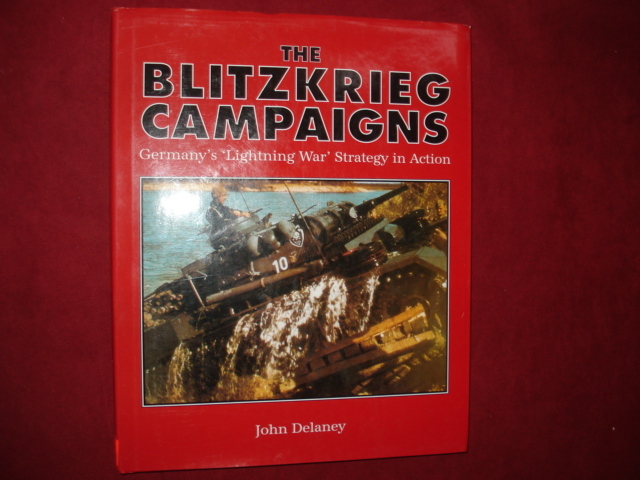 The Blitzkrieg Campaigns. Germany's 'Lightning War' Strategy in Action. Photo available. London. Caxton. 1996. 4to. Decorated hard cover. First edition. Illustrated. Fine copy in fine dust jacket (in mylar). 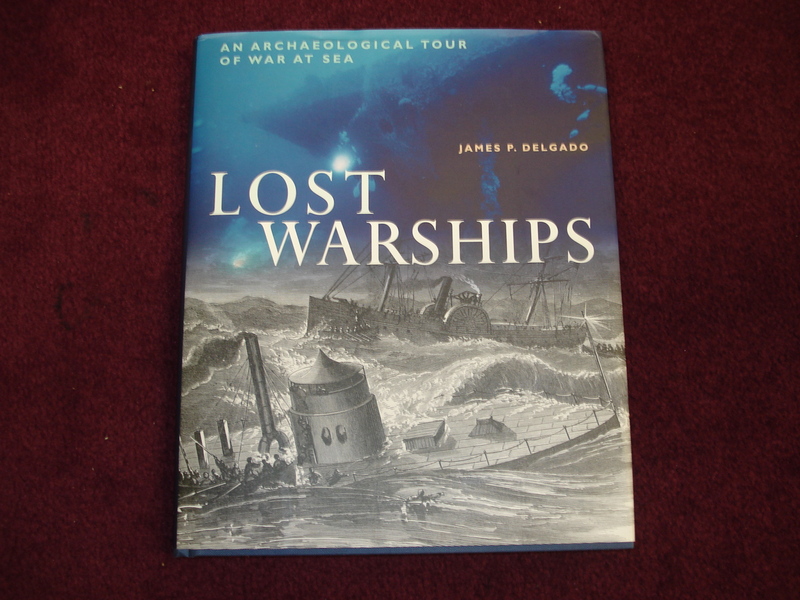 Delgado, James P. Lost Warships. An Archaeological Tour of War at Sea. Photo available. New York. Checkmark. 2002. 4to. Hard cover. First edition. Illustrated in black, white and color. Fine copy in fine dust jacket (in mylar). 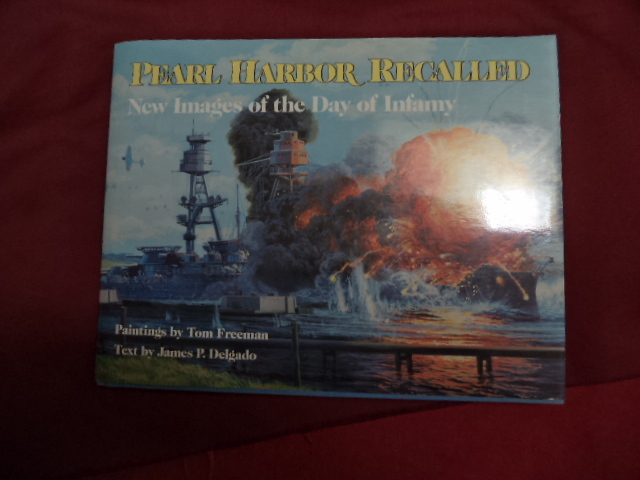 Delgado, James P. Pearl Harbor Recalled. New Images of the Day of Infamy. Photo available. Annapolis. Naval Institute Press. 1991. 160 pps. 4to. Hardcover. First edition. Full number line. Illustrated in black, white and color with paintings by Tom Freeman. Fine copy in fine dust jacket (in mylar). Dell, Roberta E. The United States Against Bergdoll. Photo available. South Brunswick. A. S. Barnes. 1977. Octavo. Hardcover. First edition. Illustrated. Fine (owner name on end paper) copy in fine dust jacket (in mylar). Dembek, Zygmunt F. et al. 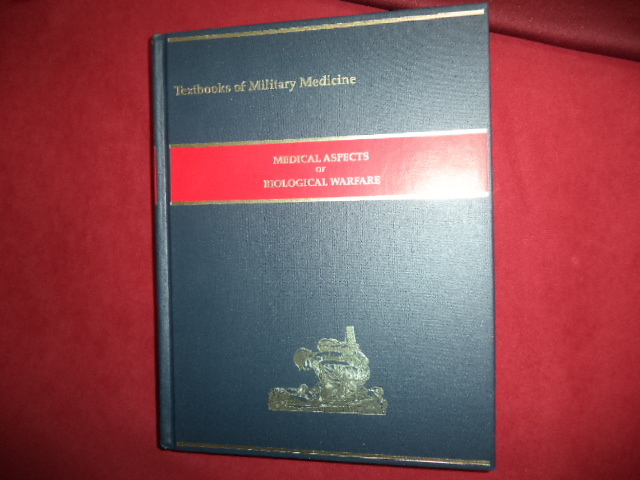 Medical Aspects of Biological Warfare. Textbooks of Military Medicine. Photo available. Washington Borden Institute. 2007. 4to. Gilt decorated hard cover. First edition. Illustrated in black, white and color. Important reference work. Fine copy. Dennis, Lawrence. A Trial on Trial. The Great Sedition Trial of 1944. Torrance. Institue for Historical Review. 1984. Octavo. Soft cover. Reprint. Fine copy. Dennis, Lawrence. The Dynamics of War and Revolution. A Study of the Hidden Economic Origins of Conflict. Costa Mesa. Noontide. 1993. Octavo. Soft cover. Reprint. Fine copy. 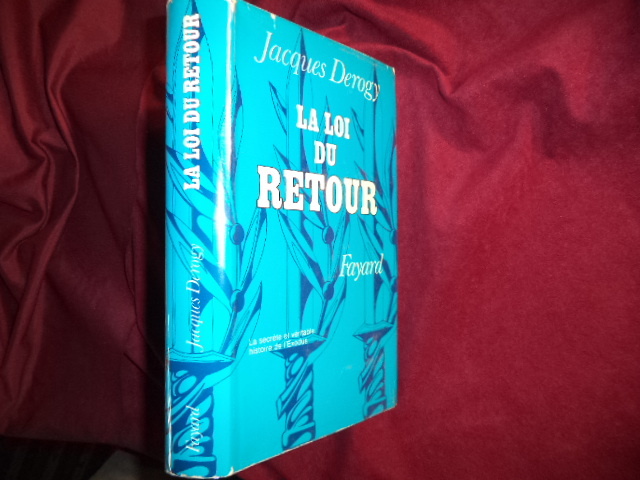 Derogy, Jacques. La loi du Retour. Le Secr�te et VŽritable Histoire de l'Exodus. Photo available. np. Fayard. 1969. Octavo. Hardcover. Premiere edition. Illustrated. Fine copy in near fine (very light shelf wear) dust jacket (in mylar). Deshimaru, Taisen. 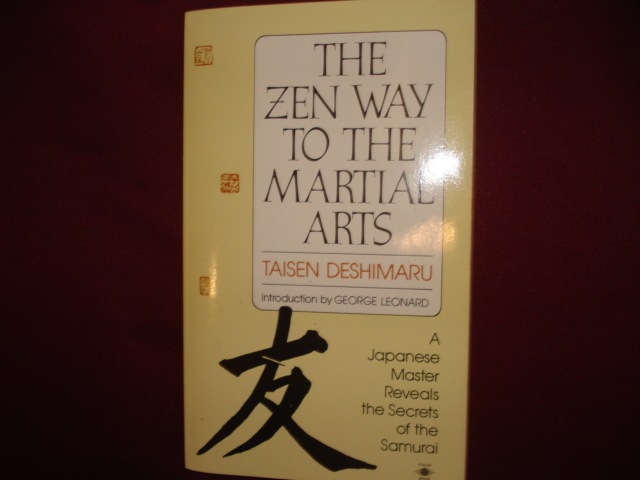 The Zen Way to the Martial Arts. A Japanese Master Reveals the Secrets of the Samurai. Photo available. New York. Arkana. 1982. Octavo. Soft cover. Reprint. Illustrated. Fine copy. Detwiler, Donald. Germany: A Short History. Carbondale. Southern Illinois University Press. 1989. Octavo. Soft cover. Second edition. Illustrated. Fine copy (owner blind stamp). Detzer, David. The Brink. Cuban Missile Crisis, 1962. New York. Thomas Y. Crowell. 1979. 209 pps. Octavo. Hardcover. First edition. Illustrated. Fine copy in fine dust jacket (in mylar). Deuel, Austin. Vietnam. Even God is Against Us. Photo available. Escondido. Impressions West. 1988. 146 pps. 4to. Hardcover. First edition. Illustrated in black, white and color. Important reference work. Fine copy in fine dust jacket (in mylar). Deutsch, Harold C. Hitler and His Generals. The Hidden Crisis, January-June, 1938. 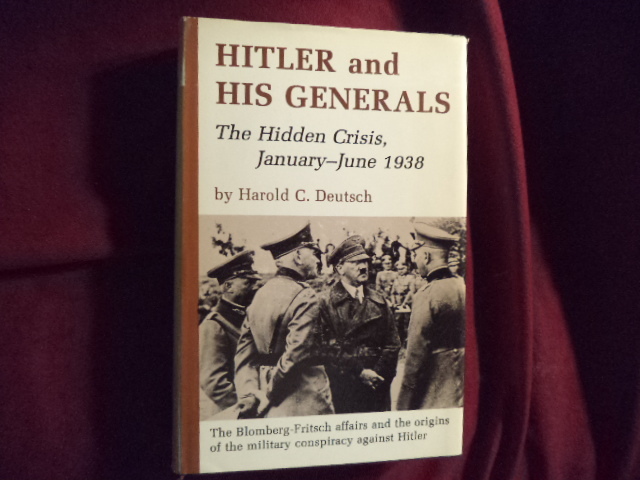 The Blomberg-Fritsch Affairs and the Origins of the Military Conspiracy Against Hitler. Photo available. Minneapolis. University of Minnesota Press. 1974. Octavo. Hardcover. First edition. Illustrated. Fine (small owner name on top and bottom of spine) copy in fine dust jacket (in mylar). 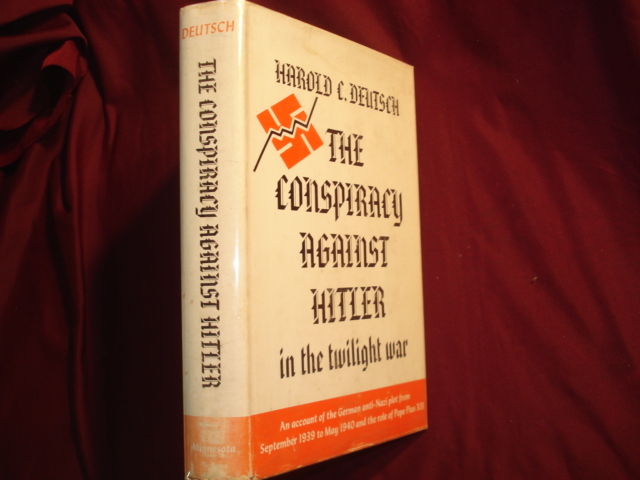 Deutsch, Harold C. The Conspiracy Against Hitler in the Twilight War. Photo available. Minneapolis. The University of Minnesota Press. 1968. Octavo. Hardcover. Second edition. Fine copy in fine dust jacket (in mylar). Dibbs, John. Spitfire. Flying Legend. The The Fighter & "The Few". New York. Barnes & Noble. 2001. 4to. Hardcover. Reprint. Illustrated in black, white and color. Important reference work. Fine copy in fine dust jacket (in mylar). Dickson, Paul. War Slang. 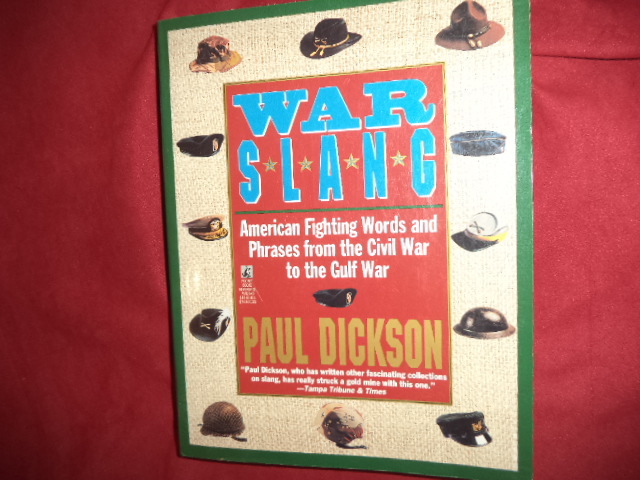 American Fighting Words and Phrases from the Civil War to the Gulf War. Photo available. New York. Pocket Books. 1995. 403 pps. Octavo. Soft cover. First edition. Full number line. Important reference work. Fine copy. Diez, Octavio. 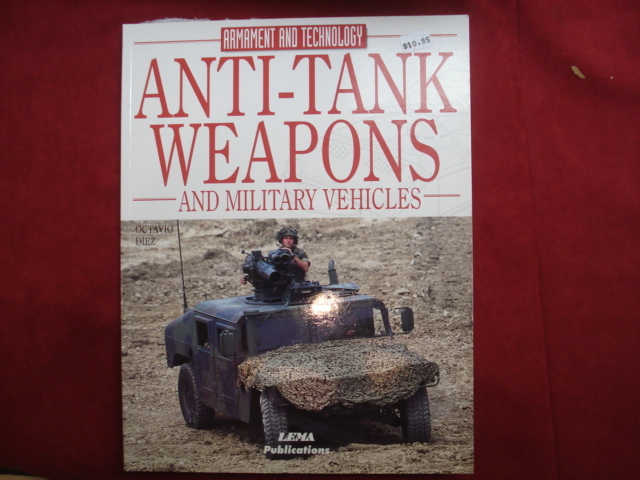 Anti-Tank Weapons and Military Vehicles. Armament and Technology. Photo available. Barcelona. LEMA. 2000. 4to. Soft cover. First edition. Illustrated in black, white and color. Fine copy. Dilling, Elizabeth (Stokes, 1894-1966). The Octopus. Metairie. Sons of Liberty. 1986. 256 pps. Octavo. Soft cover. Very good copy. Light shelf wear. Dillman, George A. & Chris Thomas. Kyusho-Jitsu: The Dillman Method of Pressure Point Fighting. Photo available. Reading. George Dillman Karate Intl. 1992. 271 pps. 4to. Gilt decorated hard cover. First edition. Illustrated. Important reference work. Very scarce. Fine copy. DiLorenzo, Thomas J. (ames, 1954- ). The Real Lincoln: A New Look at Abraham Lincoln, His Agenda, and an Unnecessary War. New York. Three Rivers 2003. Octavo. Soft cover. First edition thus. Fine copy. Dineen, Michael. The Most Amazing American. Benjamin Franklin. Waukesha. Country Beautiful. 1973. 160 pps. 4to. Hardcover. First edition. Fine copy in fine dust jacket (in mylar). Distel, Barbara (ed). Concentration Camp. Dachau. 1933-1945. Photo available. Brussels. Commite International de Dachau. 1978. 229 pps. Octavo. Soft cover. First edition. Illustrated. Fine copy. Distel, Barbara (ed). Concentration Camp. Dachau. 1933-1945. Photo available. Brussels. Commite International de Dachau. 1978. 229 pps. Octavo. Soft cover. First edition. Illustrated. Important reference work. Related material laid in. Fine copy. Diwald, Hallmut. Deutschland einig Vaterland: Geschichte unserer Gegenwart. 2. Auflage. Berlin. Ullstein. 1990. 388 pps. Octavo. Hardcover. First edition. Fine copy in fine dust jacket (in mylar). Dmitri, Ivan. Flight to Everywhere. A Picture Journey over 32,000 Miles of Air Transport Command Routes through Jungle, Desert and Arctic. Photo available. New York. Whittlesey House. 1944. 240 pps. 4to. Hardcover. First edition, third printing. Illustrated in black, white and color. Important reference work. Fine copy in very good (light shelf wear) dust jacket (in mylar).